I believe this is Alan Porter while other players on that team were Ralph Purvis, Jim Miller, Jim Williams, Paul Colby, Ed Ward and Gary Wing who were coached by Ken Lund with Asst. Coach Chuck Forsland. Lonnie, this is Ralph “Beau” Purvis. This Is CK 1961-1962. Joe Burroughs was also on that team. Lonny, is Alan Porter a CKHS basketball player? Wearing CK shorts. 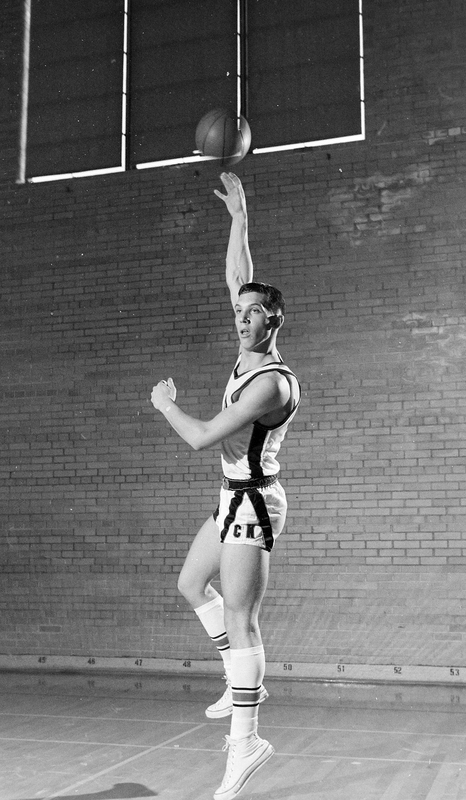 The photo was misidentified as “East-West” but rather a CKHS Individual Player Photo who is Alan Porter who played for CK ’61-62.